It is no secret that Balochistan, Pakistan’s largest province, is facing a chronic water shortage issue and has been experiencing severe droughts for decades. Water is one of the basic necessities of life, fundamental for the existence of life to begin with, and without it we will all cease to exist. And yet the province is moving closer towards becoming a land without water. At least seven small and large rivers flow across Balochistan, from which the Hingol River (the longest river in the province) covers a length of 560 kilometres. Despite the flow of these seven rivers, Balochistan is in a perpetual drought season. It faced acute and chronic droughts from 1997 to 2007, and then from 2013 to date. Currently about nine districts, including Nushki, Kharan, Awaran, Musakhail, Killa Abdullah and Quetta are experiencing extreme water shortages. A survey held by the provincial government and the United Nations International Children’s Emergency Fund (UNICEF) in Quetta, Killa Abdullah and the Pishin district revealed that more than 30,000 children under the age of five are severely malnourished. This report further revealed that 40 to 65% of children between the ages of six-months and five-years are acutely malnourished here, primarily due to an insufficient amount of nutrients that are essential for proper mental and physical growth. Most stats that emerge from the province are horrifying, including the unofficial estimate that at least two children die everyday in Quetta due to a lack of food and water. Quetta, which once remained habitat for springs and karez, is now thirsty for a drop of water. The provincial capital requires 50 million gallons of water, but the responsible authority can hardly provide 30 million gallons, leaving a scarcity level of 20 million gallons. If Quetta, despite being the heart of and most developed city in Balochistan, is faced with such devastating statistics, the plight of other, more neglected parts of the region is unimaginable. Hanna Lake, which once was a picnic point and a habitat of different species for several decades, is on the brink of devastation. This is due to a lack of management and a blind eye turned towards it by the Balochistan government, as well as a dramatic decrease in rainfall and snowfall over the last few decades. The reservoir was built by the British in 1894 to promote agriculture and re-charge springs in nearby areas. Balochistan is home to a number of salts, minerals, natural gas and gold, and yet it lags behind when it comes to the federal government making it a priority and helping the province further itself. The question of why Balochistan is faced with such severe droughts is inevitable, and to answer it one must look back at the poor political history of the province. The masses of this region have always born drastic conditions due to bare necessities not being provided. Meanwhile, governments come and go like tornadoes, leaving more drastic conditions behind. All the past provincial and federal governments were busy in fulfilling their bellies and pockets, and none thought about the plight of the poor people living in the resource rich Balochistan. The current coalition government has made many promises, but is finding it difficult to fulfil them. In a recent session of the Constituent Assembly of Balochistan, MPA Sanaullah Baloch commented on how more than 70% of people living in Balochistan are compelled to drink stagnant and contaminated water. People are left with no choice but to flee their homes due to the drought. The public is migrating from rural areas into urban ones for the sake of better provisions. Historically, it has been determined that most migrations in the globe occurred due to drought and a lack of water availability. Not only Balochistan, but the entire state is now facing a severe water crisis. 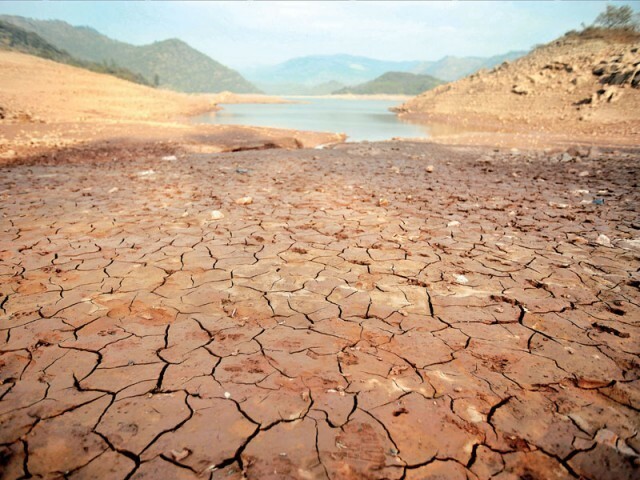 Water shortages are not new to Pakistan, which experienced its first crisis after its inception when India cut water supply to the country, resulting in the Indus Waters Treaty to emerge in 1960 through the cooperation of the World Bank. According to this pact, the water of the three eastern rivers would be used by India, while the water of the three western rivers would be used by Pakistan. Balochistan, which lies in the mouth of the monsoon region from the north, gives space to a fertile land where a number of fresh fruits and vegetables are cultivated. However, in recent years even these do not cultivate or ripen due to the acute water shortage. Climate change also plays a key role in this issue. The shortage in rainfall and snowfall along with increasing global warming results in the adverse effects of climate change in the form of making fertile land infertile and eroding the soil, which causes the flow of nutrients from one place to another. We can cope with this issue only if and when awareness is brought at the individual level, and only the media and civil society can play this vital role. If the government does not take concrete measures to make it happen and solve this problem, it never will.